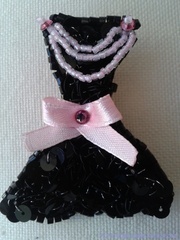 THE LITTLE BLACK DRESS A LA FRANCAISE has her little black dress accessorized jewelry embroidery high fashion ready-to-wear. 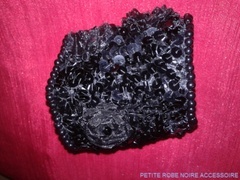 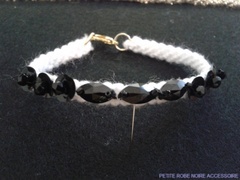 BROOCH "THE LITLLE BLACK DRESS"
BRACELET BLACK AND WHITE "SOS"
Very fashionable this cuff fully embroidered Haute Couture. 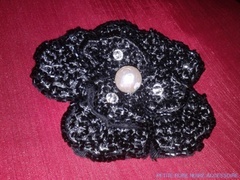 Beautiful pin "Camelia" fully embroidered Haute Couture.